Queen Elizabeth II is a really good gift giver. According to The Daily Mail, Duke Harry and Duchess Meghan (née Markle) of Sussex have a new home at Windsor Castle. Not only does the property sound remarkable and the perfect spot for privacy, but it also has a ton of history. Apparently, Meghan and Harry can now also call Adelaide Cottage home. According to Daily Mail's source, Queen Elizabeth "offered the Grade II listed property to the newlyweds as a gift. The source claimed that the couple had been for a viewing, liked it and will move in soon." No official comment has been given from the British royal family or Kensington Palace regarding Meghan and Harry's reported new property. The cottage sounds fabulous and exactly what the newlyweds need. Per The Daily Mail's source, "There are seven gated entrances and exits to Windsor Castle so the newlyweds could come and go without worrying about being photographed." The house is also reportedly near Queen Elizabeth and Prince Philip's private apartments at Windsor Castle and close to the Guards Polo Club in Windsor Great Park, which The Daily Mail notes Harry sometimes frequents. As for the architecture of the cottage, the main bedroom apparently has "a coved ceiling with gilded dolphins and rope ornament from a 19th Century Royal yacht." Oh, and there is also reportedly a "marble Graeco-Egyptian fireplace." Adelaide Cottage is also quite historical and once had a well-known face living there, which The Crown fans will appreciate. Group Captain Peter Townsend, aka Princess Margaret's lover, resided here for some time. In addition to Adelaide Cottage, the queen also reportedly gifted York Cottage to Meghan and Harry as a wedding present. In May, 9News in Australia reported the head of the royal family was expected to give the married duo this particular cottage at Sandringham Estate. Currently, Meghan and Harry are living at Nottingham Cottage at Kensington Palace, as it was first revealed upon their engagement in November 2017. 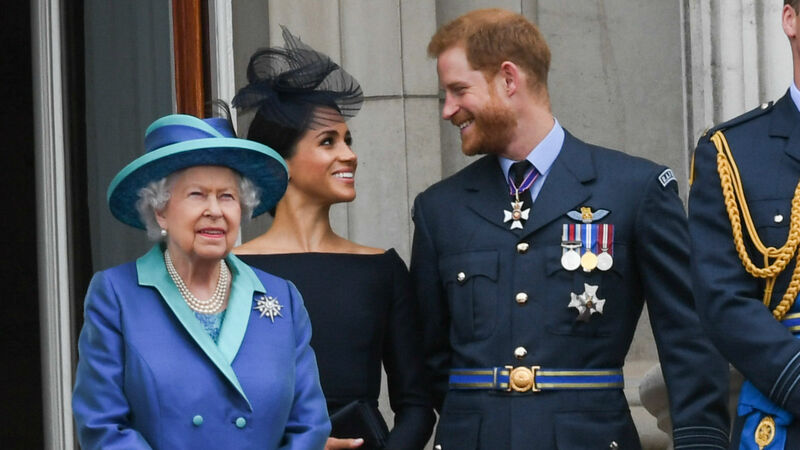 Wherever Meghan and Harry decide to live permanently, it sure sounds like they have a lot of options.